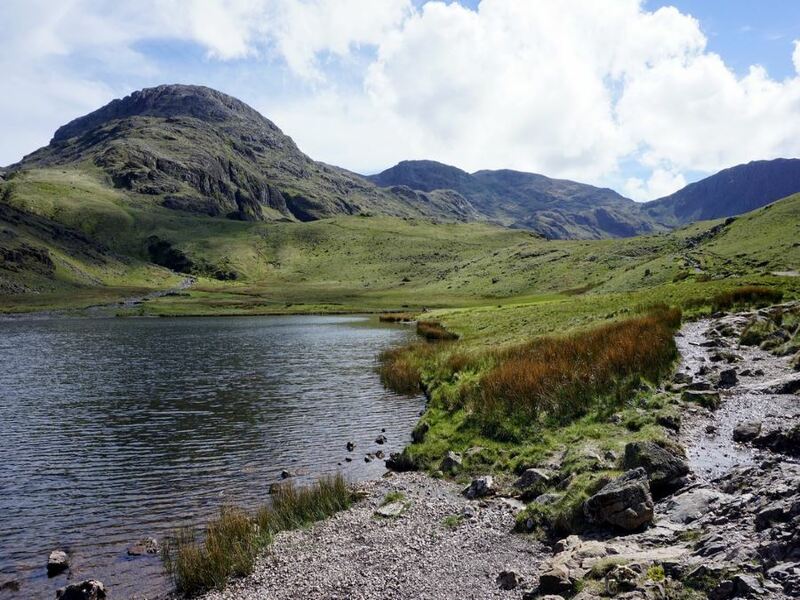 Get yourself to Seathwaite, which is just over a 1.6km south of Seatoller.  You can park on the verge along the road or in the car park at the farm. Walk south between the buildings on the farm and then continue on an obvious track up the valley bottom. At 1.4km walk over a beautiful arched stone bridge. 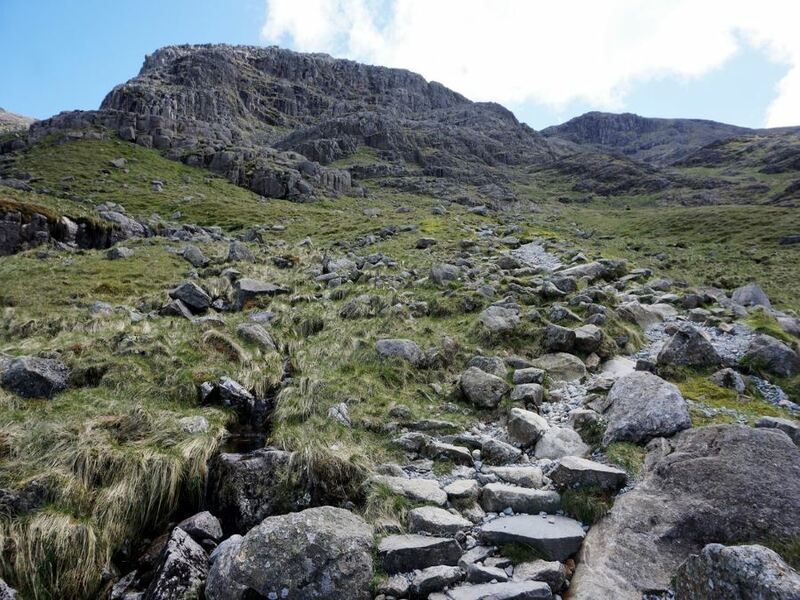 Immediately turn left and continue up the valley, initially along a stonewall on well-defined path. At 2.4km from the start cross over a stream on a small wooden bridge and continue up the valley, going to the right of small knoll keeping the river on your right the entire way. Come to a small high flat area at 3.9km from start. 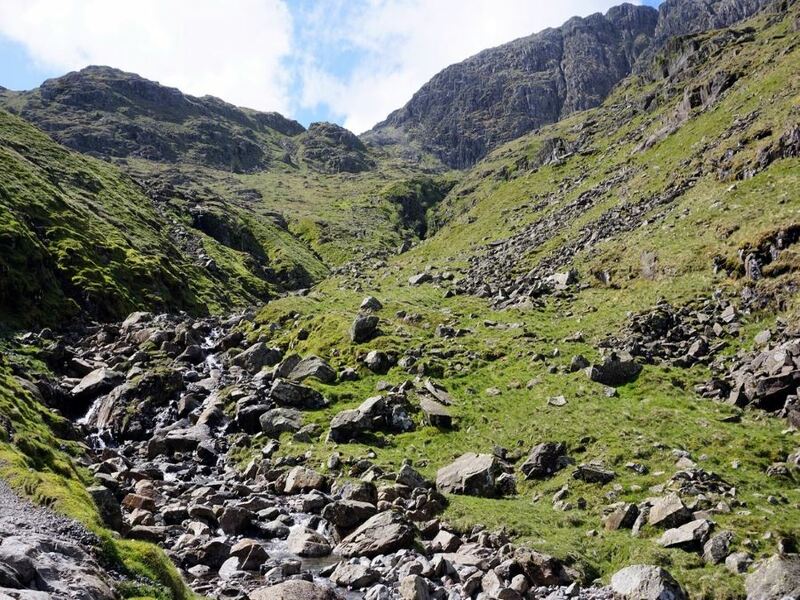 From here the path turns to the left and goes down to cross a stream (Ruddy Gill) and then back up and you continue your ascent. 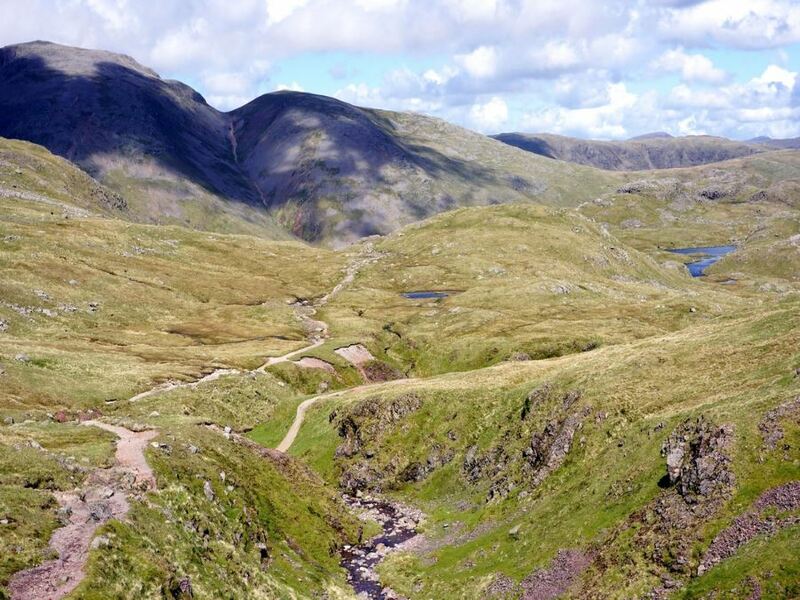 365m later the path splits, take the right-hand path up to Esk Hause (mountain pass). 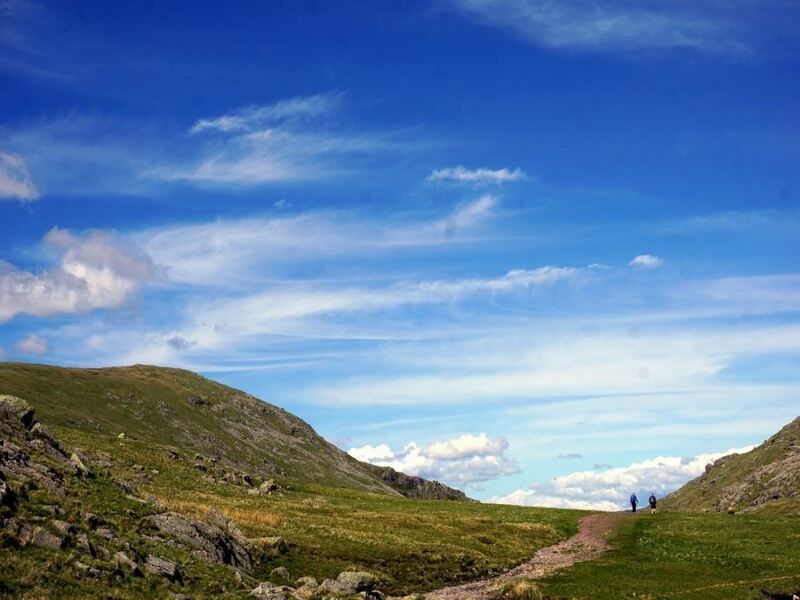 From the Esk Hause Pass trails go off in all directions. 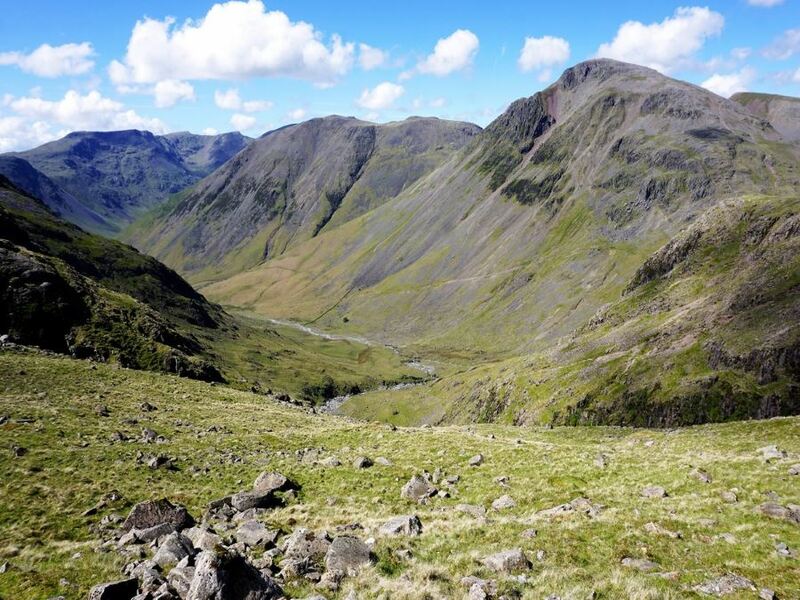 Turn right and head uphill, trending to the left up to Ill Crag. Head into a boulder field at 5.6km from the start. Follow the cairns to get through this boulder field, as the path is lost quickly. Take care, as it’s easy to misstep and twist your ankle or knee. 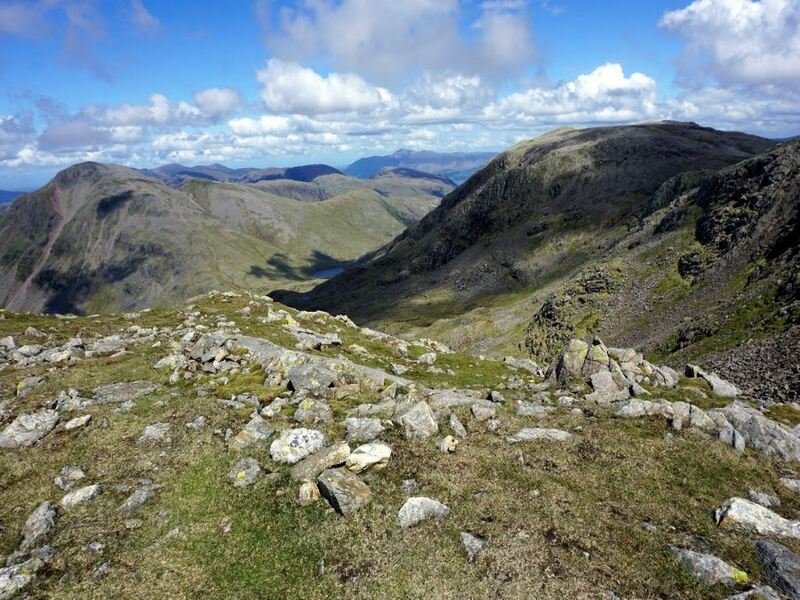 As you come out of the boulder field head over to the right and you can now see Scafell Pike. 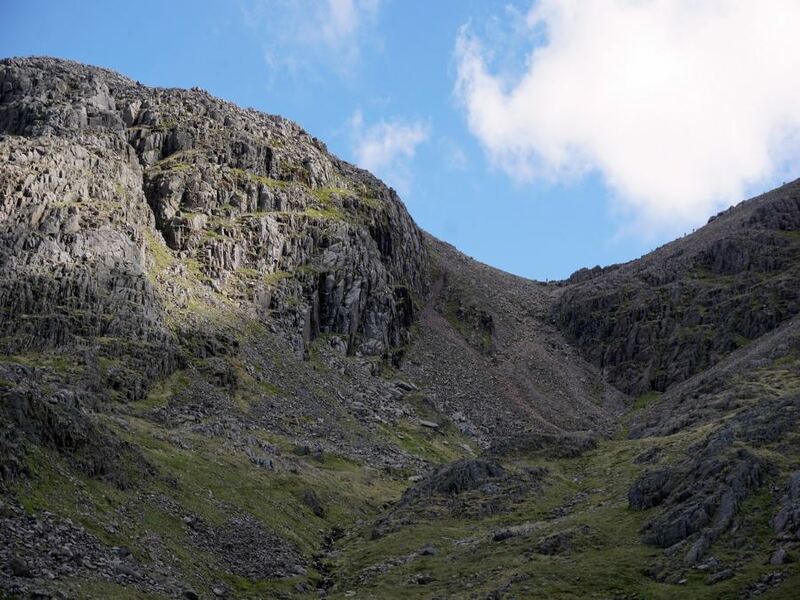 Descend to a saddle and from the saddle you have the final push up to Scafell Pike, which you reach 410m after the saddle. There is a great viewing platform here with 365 degrees views, making a fine place for a break. 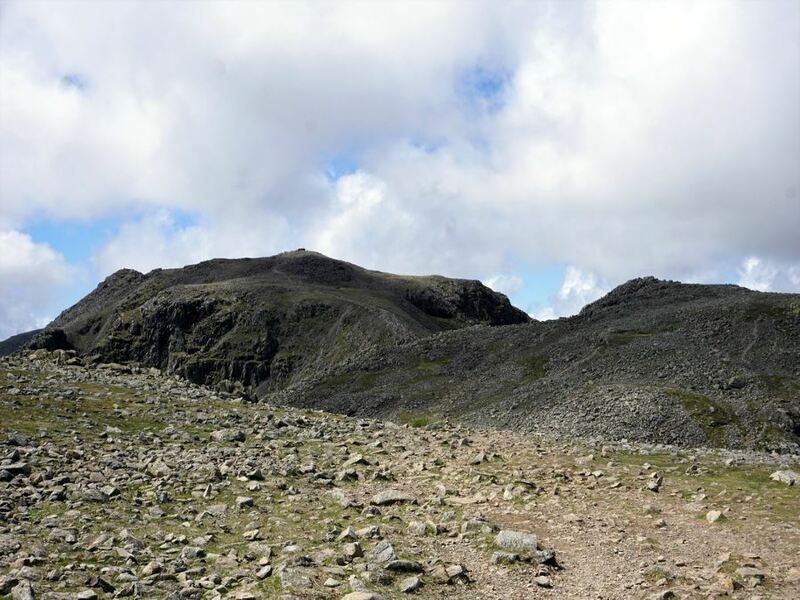 The descent down off Scafell Pike is reached by continuing past the viewing platform on your right and heading off in the NW direction past a small stone marker, and following along a visible path downhill. Your path continues downhill, ignoring other routes branching off to the left. 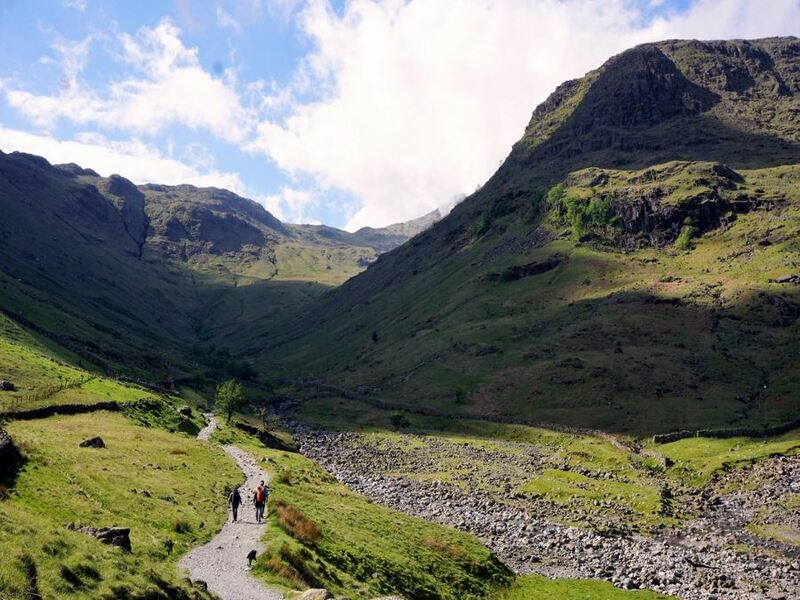 At 8.3km from the start pass a beautiful gorge and stay right as a faint path leads off left. 1.0km later there is a slight scramble up the rocks and then head back downhill. At 10.4km, after a slight uphill, you come to a junction at the top of a hill. From here head left, and 275m later come to another junction with a trail by an emergency stretcher box. 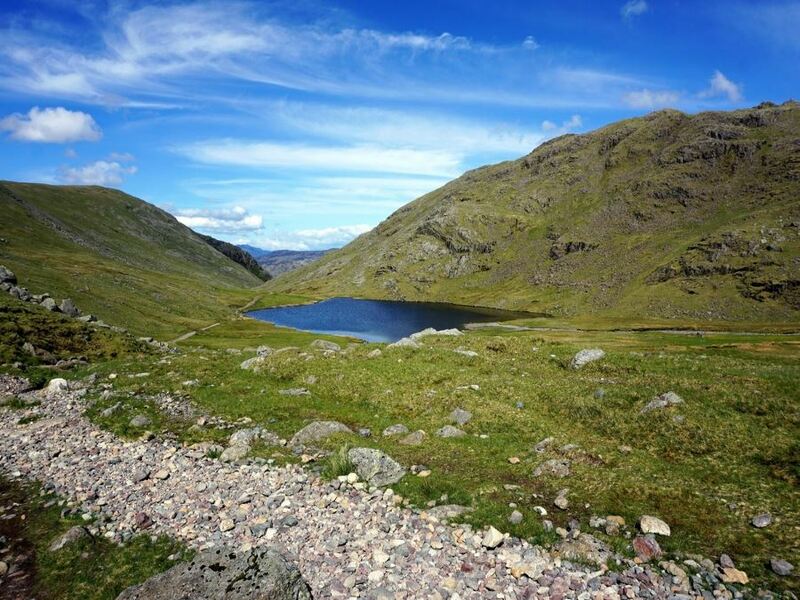 Turn right and head down to Styhead Tarn, a beautiful place for a break. Head down on the path beside Styhead Gill and when it branches take the right hand route. 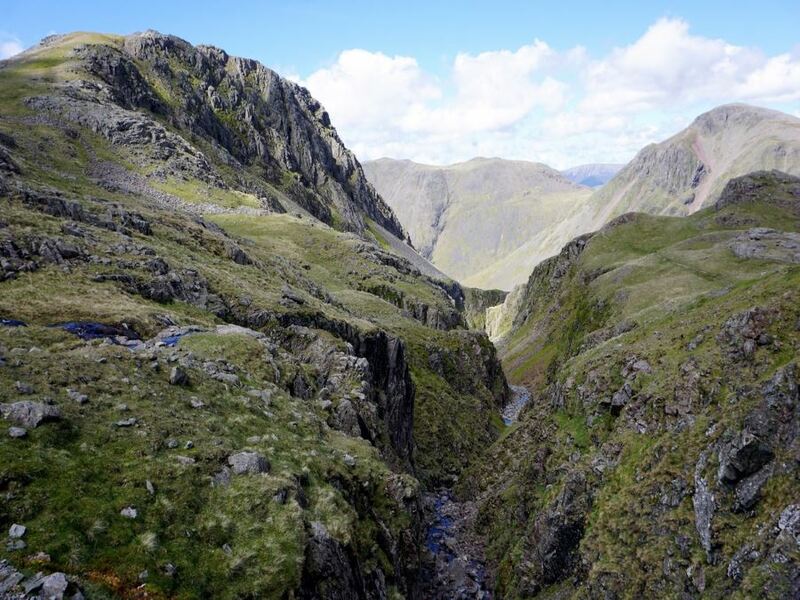 At 11.6km from the start, cross a bridge to the other side of Styhead Gill, which you will recognize from your ascent. Continue down the valley on the right side of the stream. Partway down you’ll go past a rusted wire fence on your left. Soon you’ll come back to the beautiful arched bridge and turn left, heading back to the farm and your car. 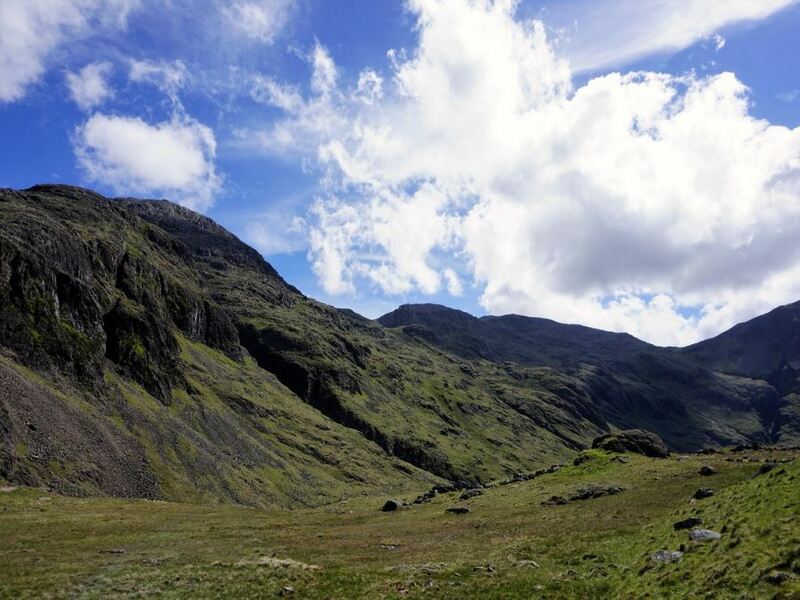 There is economical camping at the farm at Seathwaite and it’s a very pleasant location to spend a night or two!